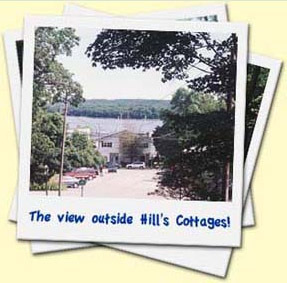 Set just off historic Main Street, a stay at Hills Cottages will offer you the opportunity to experience the beauty and serenity of Fish Creek, Wisconsin! After a restful nights sleep, delight in the tasteful cuisine of one of Fish Creeks excellent restaurants before exploring the many quaint shops and galleries that the downtown has to offer. Enjoy an afternoon bike ride through Peninsula State Park, only a few short blocks away, on the mountain bike provided for you. Rates: $125-$175 daily; $845-$1095 weekly. Or, if you prefer the warm waters of Green Bay, enjoy the beaches and boating available to you, all just a short walk from your door. Finish your day with a stroll to Sunset Park to watch the breathtaking beauty of a Door County sunset unfold before you. Then return to revel in the company of friends and family around your own campfire. 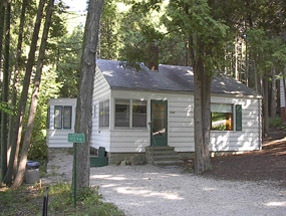 Our cottages are nestled in a wooded setting and come complete with a fully equipped kitchen, dining room/living room, AC, TV/VCR, cable television, and private bathroom. 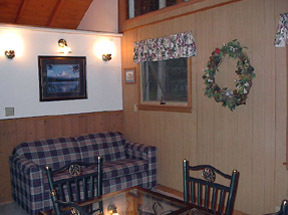 The Birch Chalet offers a spacious loft with a king-sized bed, an outdoor balcony and a second private bedroom. The Pine House offers two private bedrooms, two screened-in porches and a fieldstone fireplace in the living room. The Cedar Suite offers a private bedroom and a living/bedrom area with French doors. All cottages can comfortably sleep 4 to 6. All bed linens are provided for you, but we request that you provide your own towels. 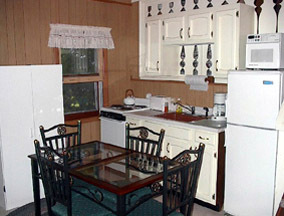 All cottages are located adjacent to a walking trail. There is a gas grill available for cooking and a gazebo. 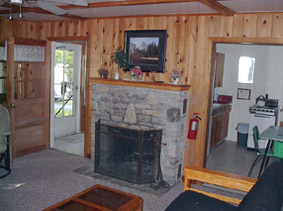 Our cottages are smoke-free and we are unable to accommodate your favorite pet. Check-in is at 3:00pm and check-out is at 11:00am.